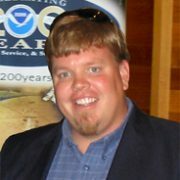 Dr. Braxton Davis, formerly director of both NC Division of Marine Fisheries (NCDMF) and NC Division of Coastal Management (NC DCM) has resumed his role exclusively as director for NC DCM. 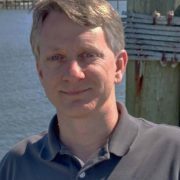 With Davis now at the helm of NC DCM, Steve Murphey, formerly the Section Chief of Resource Enhancement at NC DMF fills the role as director of NC Division of Marine Fisheries. 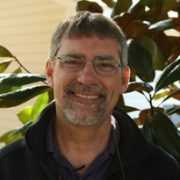 Dr. Ken Riley, previous Fisheries Biologist at National Oceanic and Atmospheric Administration in the Habitat Conservation Division out of the Beaufort lab has moved positions to fulfill the role of coordinating Coastal Aquaculture Siting and Sustainability as part of NOAA’s Marine Spatial Ecology Division. Several other staff members have changed roles and/or recently joined the oyster restoration and management efforts in North Carolina. Trish Murphey, previously the southern district manager for NC DMF, is now the Watershed Manager for the Albemarle-Pamlico National Estuary Partnership. Kaitlin DeAeth joins the division as the Oyster Sanctuary Biologist and Scott Leahy as the Shell Point Captain. With the changing of the guard and shifting of staff roles, the section chief and biology supervisor positions for the division are in the process of being filled.